MANILA, 13 June 2016: Riding around town promises to be an easier and more rewarding experience for the commuting public as Visa and Grab, Southeast Asia’s leading ride-hailing platform, partner to provide a host of incentives from today to June 30. To make commuting more pocket-friendly, riders who book a car through Grab and pay with their Visa debit, credit, and prepaid cards tied to the app will enjoy a fare subsidy of P50 off for the first five rides. This amount is automatically deducted from the user’s fare, without need for any additional steps. Terms and Conditions apply. The fare discount is Visa’s way of rewarding commuters who have discovered the ease of cashless commuting. 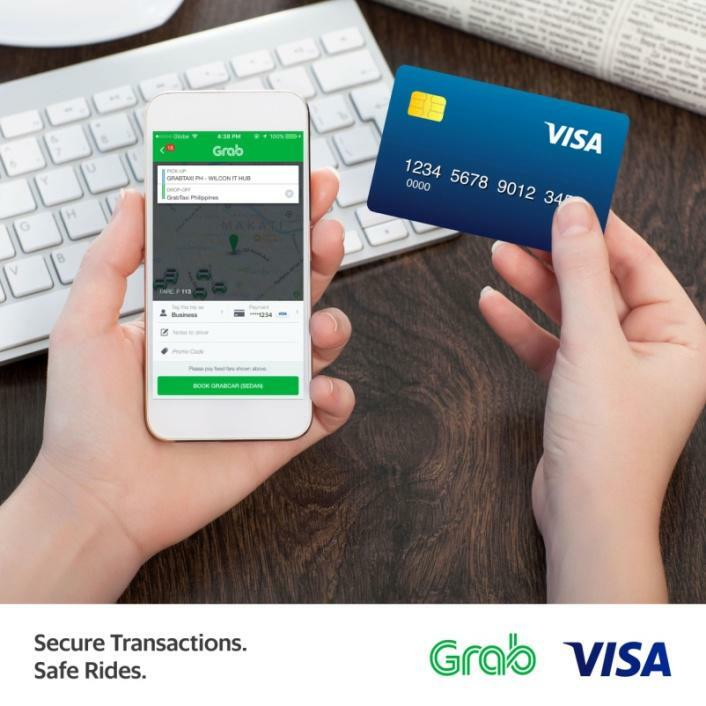 Grab and Visa’s year-long partnership offers accessible and safe rides to commuters, made even more convenient with Visa’s hassle-free and secure payment transactions. “Given the enormous amount of time that we spend on the road, paying for travel fares should be the last headache. Through this promotion, Visa renews its commitment to provide secure, hassle-free, and convenient payment for our cardholders as they move around town, and make it even sweeter by rewarding them for using Visa cards,” said Stuart Tomlinson, Visa Country Manager for the Philippines and Guam.